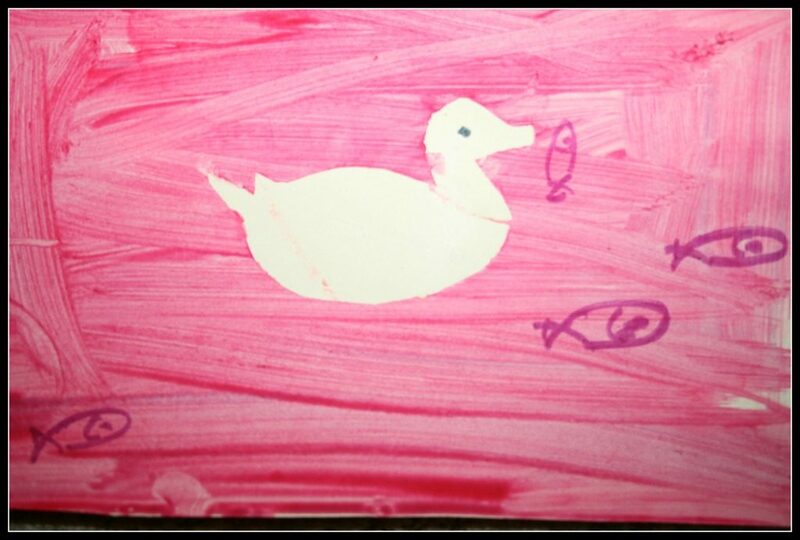 Today I wanted Baby A to be the lead mess maker of this animal resist painting project. 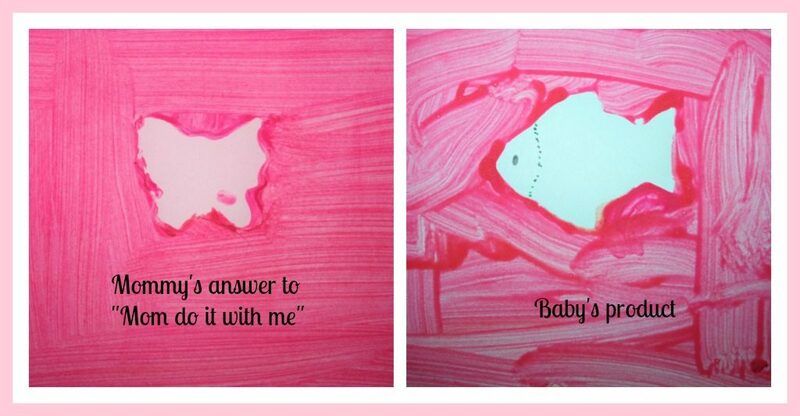 While Big A was away, mom and baby buckled down with something we both love – PAINT. I’m introducing brushes to Baby A.I cut 4 cardstock paper into halves and made 8 individual pieces to work on. We started with the play doh stencils and soon realized that regular printable worked much better. Anyway, mom picked out a few resist art animals to add to the fun element and to create more interest in wildlife with babyA. 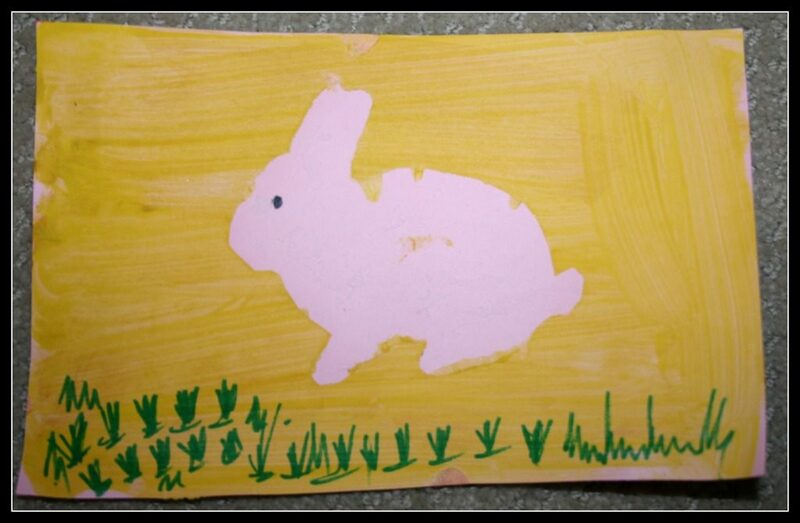 While I held on to the animal stencil, baby A started painting, might I add vigorously around the stencil. Once I removed the stencil I thought she would have a tada! moment. She looked at it and said “one more” Bummer! Baby repeated the names of the animals over and over while making corresponding animal noises. Mom and baby had an amazing uninterrupted conversation while making art. I just talked to her about where each animal lives and what it eats. I’m not sure if anything got into her amidst the vigorous painting and splattering. Love one-on-one with kids. Makes me feel like a much better mother. We tried a couple of more stencil art. 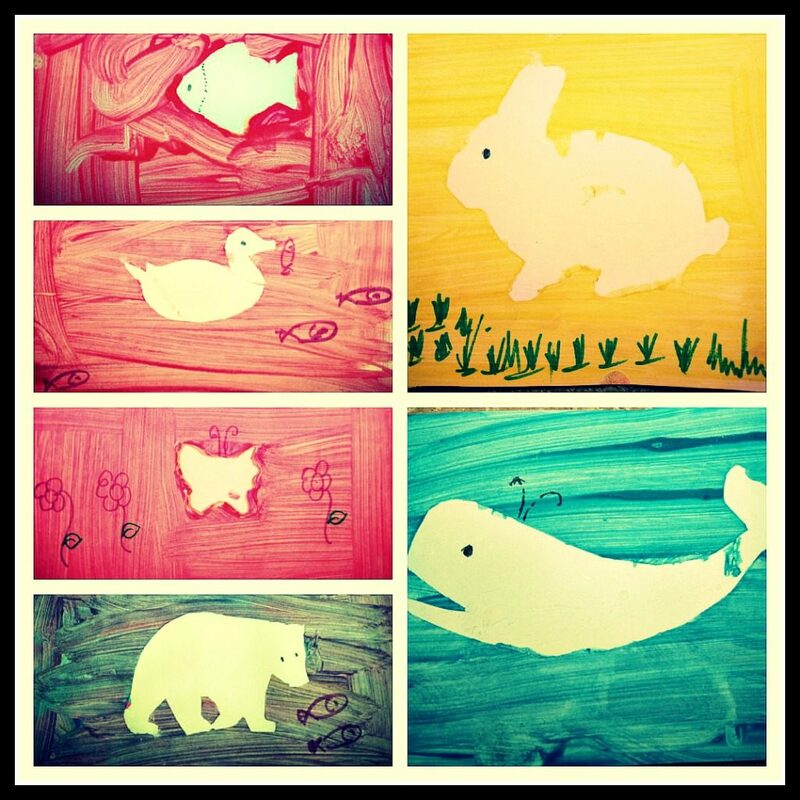 Soon Baby A wanted new resist art animals – a duck and a rabbit. The stencil looked miserable and so I just cut out the image from an outline printable. 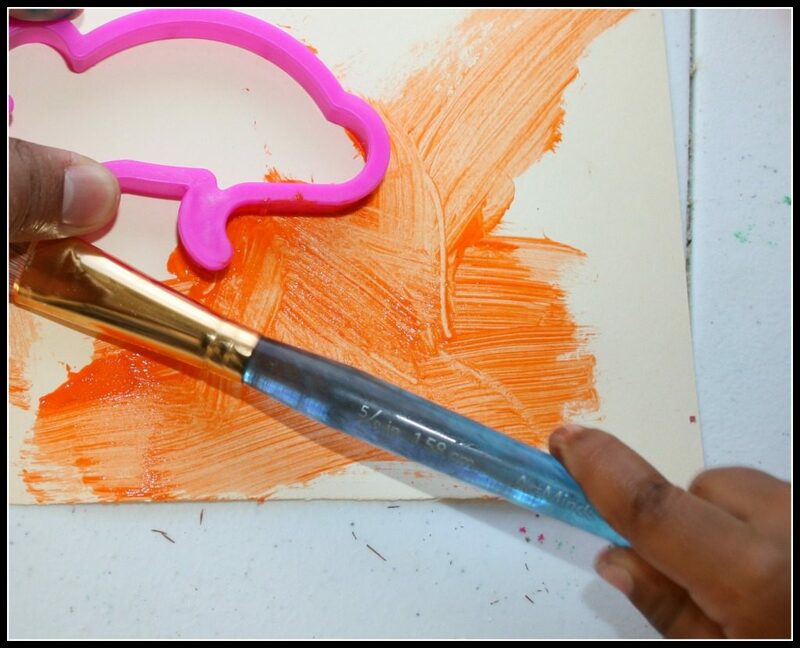 Baby worked her fine motor skills and process learning skills, by applying glue on the back and then sticking them on the cardstock paper. 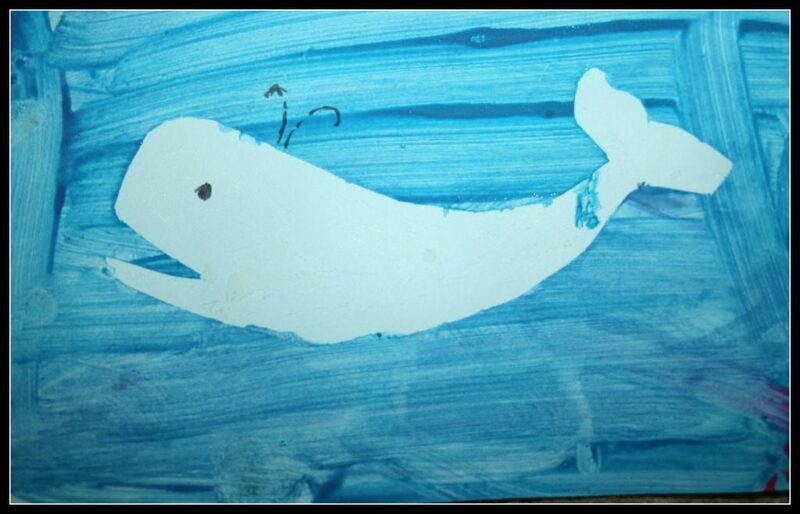 Once the animal is stuck on the card stock, it shouldn’t take long for the kid with a fat brush to fill up the cardstock paper with paint. Peel off the cut out immediately. It comes off without any trouble. That’s it you got your own animal resist painting. We made a bunch more. Once they dried, I added habitat and diet details. 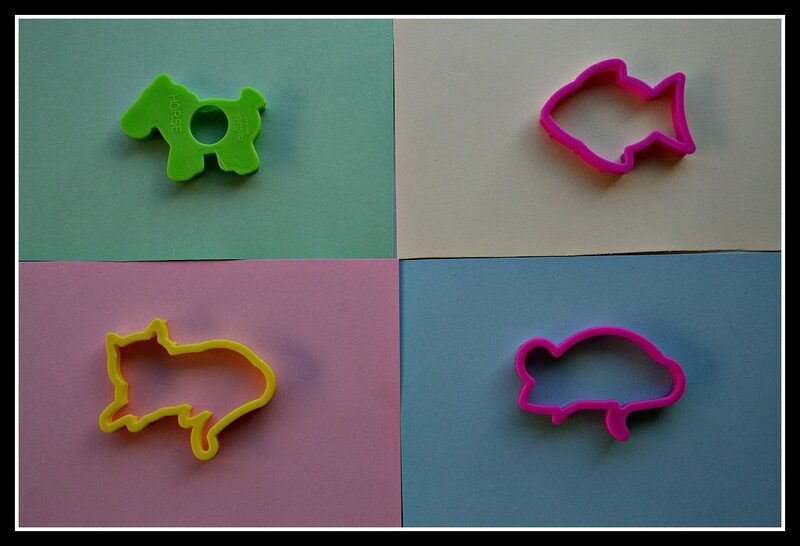 Here is the final line up of all our color resist art animals. 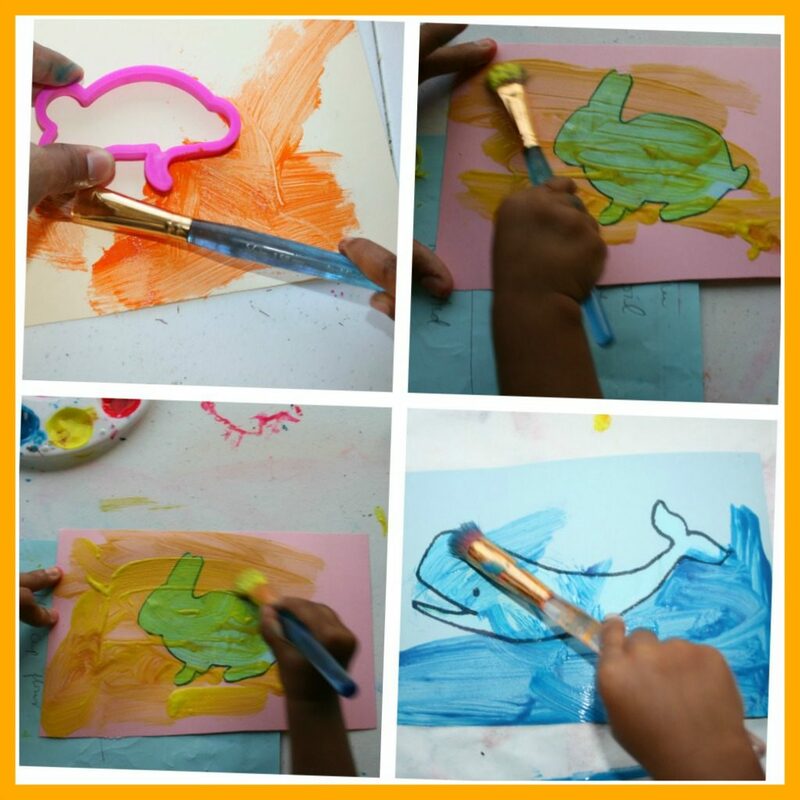 I realized it is NOT EASY making art with a toddler because co-operative toddlers are very hard to come by! Made me want to do more toddler activities. 1. Once dried, you have an older sibling to add details to the card. For example, add flowers for the butterfly and talk about where each animal lives and what they eat. 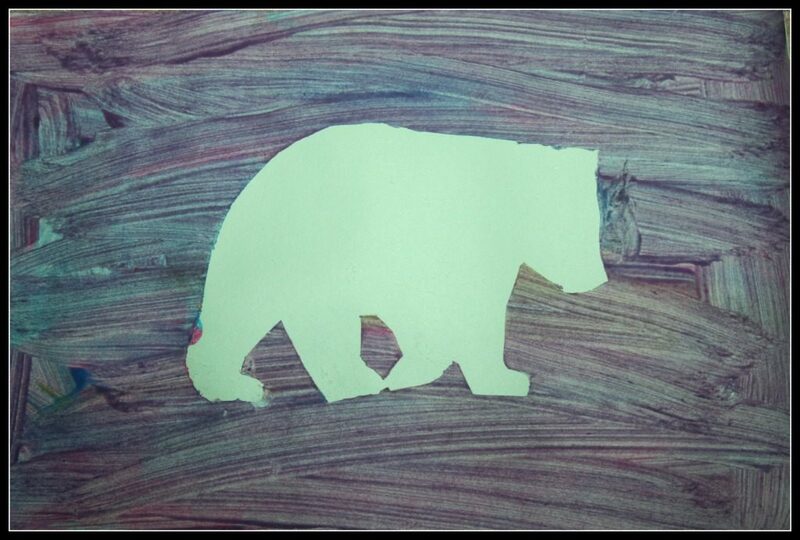 Add fish to the bear art..You get the point. 2. Convert it into a birthday card for another person. Glam it up with stickers, sequins, whatever catches the kid’s fancy.